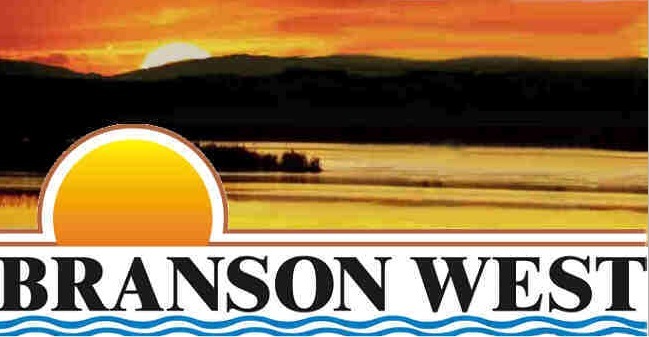 Branson West Airport, also known as Branson West Municipal Airport, is a city-owned, public-use airport located two nautical miles (3.7 km) west of the central business district of the City of Branson West, in Stone County, Missouri, United States. 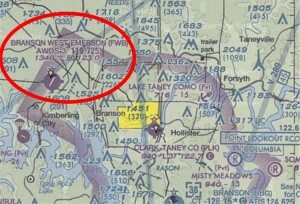 The airport is also known as Emerson Field, named for Robert Emerson, an aviation pioneer of the region. 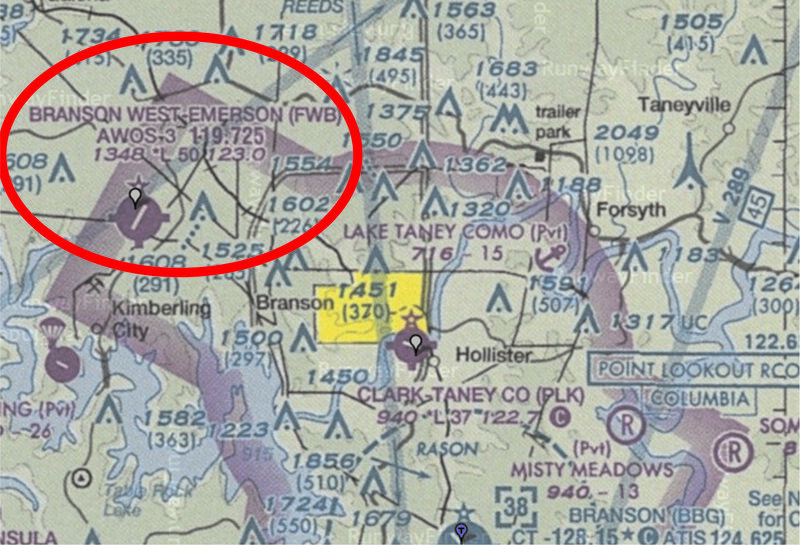 Funded via federal and state grants exceeding $20 million, Branson West is a general aviation airport designed for private and charter aircraft. The airport was built on 200 acres (0.81 km2) donated by the Conco Companies of Springfield, with an additional 40 acres (160,000 m2) acquired by the city for runway protection zones. Another 450 acres (1.8 km2) donated by Kay Renfro will be used for future development, and 200 acres (0.81 km2) donated by city treasurer Martin Eastwood will serve as a conservation buffer zone. 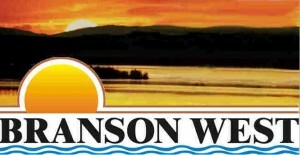 Branson West Airport resides at an elevation of 1,348 feet (411 m) above mean sea level. It has one runway designated 3/21 with a concrete surface measuring 5,000 by 75 feet (1,524 x 23 m). The runway officially opened in December 2009 with the landing of nine aircraft.